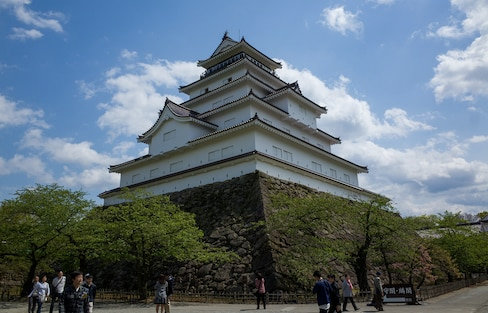 Spared many of the fierce territorial battles of the Warring States Period, the castles of northeastern Japan are a little different from those you'll find to the south and west. Being cocooned by sweet floral scents among a palette of bright colors will leave your nose and eyes calling out for more! Looking for a unique souvenir from Japan that isn’t food? 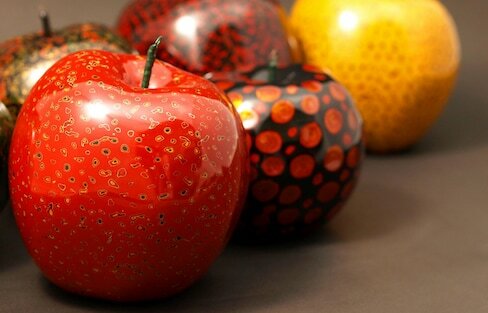 Tsugaru-nuri, a type of lacquerware local to Aomori Prefecture, may be the elegant souvenir you’ve been waiting for. Tohoku has a giant selection of sweet traditional treats to choose from. We've selected 13 of the best! Hit 3 Sites in Hiraizumi in Just One Day! The UNESCO-registered temples and gardens of Hiraizumi represented an attempt to create an ideal world on Earth. Despite suffering massive damage in the 2011 Great East Japan Earthquake, the Sanriku Railway Company swiftly restored its services and has become a pillar of support for the region. Pack your hiking boots and get ready for an adventure as we take you to the most fascinating and beautiful spots of Japan's deep north by way of the poet Matsuo Basho. Where could you see a dozen tigers dance on a rooftop? Head north to Miyagi! With bright blue ponds and an 8,000-year-old biosphere, we invite you to witness the unspoiled splendor of one of Japan's first UNESCO World Heritage Sites: Shirakami-Sanchi! Kushihiki Hachiman-gu is a historical shrine in Hachinohe, Aomori, dating back to 1166. It's considered the most prestigious shrine built by the Nambu Clan, a samurai clan originating in northern Japan. Head to northern Japan this summer for huge glowing floats, giant poles covered in lanterns and streets festooned with positive wishes for the future.